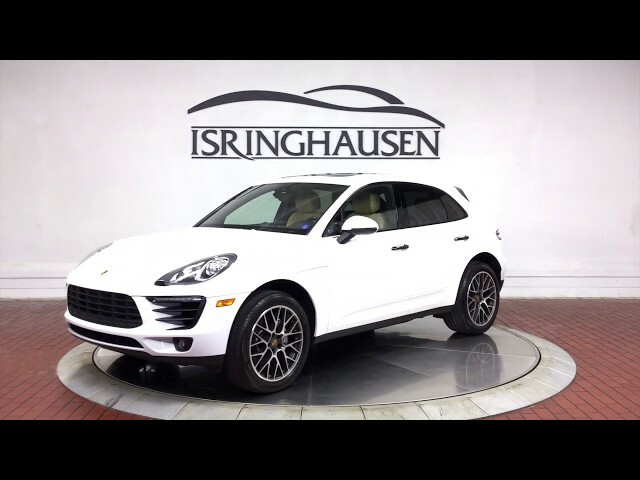 This nicely optioned 2017 Porsche Macan S arrives in very good condition and comes with Porsche Certified Pre-Owned Warranty until 3/07/2023 with unlimited miles. Factory options include Premium Package Plus, Navigation System, Lane Change Assist & Lane Departure Warning, Connect Plus, Window Trim and Door Handles in Gloss Black, 20" RS Spyder Design Wheels and more. To take advantage of this well equipped Macan S with fantastic warranty, please contact a Porsche sales specialist today by calling 877-362-9715. Isringhausen Imports is Central Illinois' premier new car, used car and certified pre-owned (CPO) dealership for quality BMW, Porsche, Volvo and Mercedes-Benz vehicles. At Isringhausen Imports, we have become a leader in the industry by working each day towards the greater good of our customers, our fellow employees, and our community.